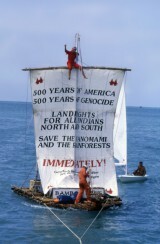 Bamboo raft trip (1992) | Yanomami-Hilfe e.V. 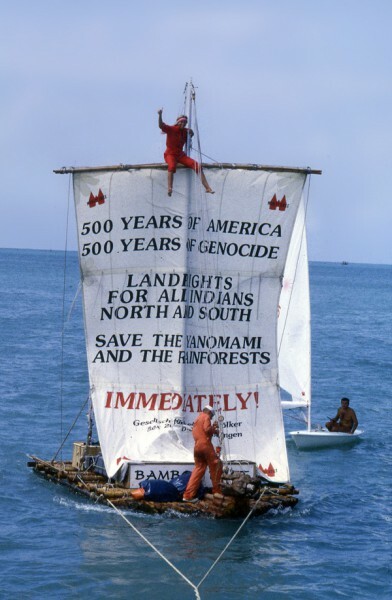 In 1992, Christina Haverkamp and Rüdiger Nehberg crossed the Atlantic on a self-made bamboo raft in order to draw attention to the Indians’ continuing oppression. 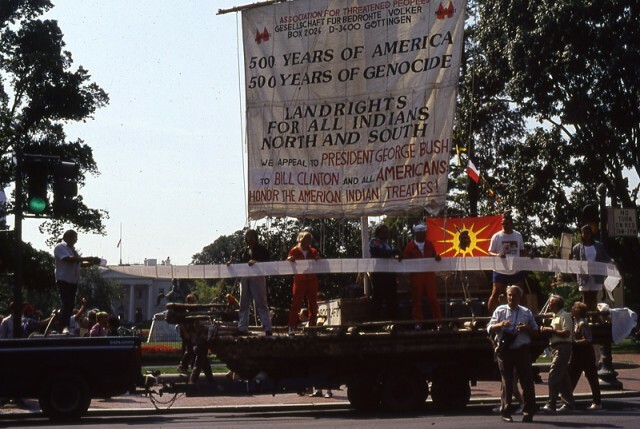 This protest campaign coincided with the 500-year anniversary of America’s discovery. 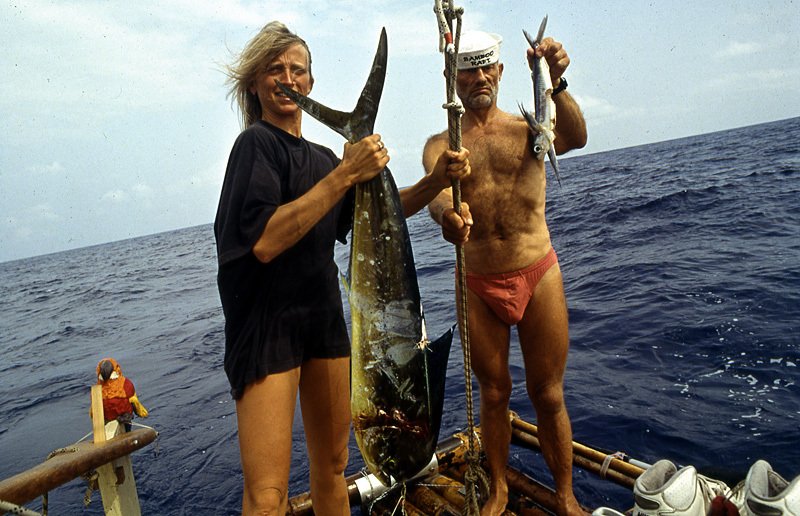 The trip led them from Dakar (Senegal) across the Atlantic to Fortaleza (Brazil). It lasted 50 days and continued up to the White House in Washington. This campaign received a lot of attention during Columbus year.